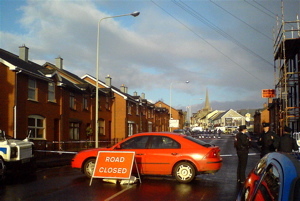 The normality of Derry’s school run mayhem was destroyed to-day at 8.30am when dissident republicans attempted to murder a Catholic policeman in Bishop Street. The attack took place just after the Officer dropped his child off to school at Lumen Christi College. Despite the attackers firing a shotgun into his car the officer was able to escape and drive to Strand Road PSNI station where he received emergency medical aid before being taken to Altnagelvin Hospital. The officer received pellet wounds to his arms and face. This afternoon he underwent surgery at the hospital and, thankfully, is said to be in a stable condition. Deputy Chief Constable Paul Leighton said “violence like this has no place in our society”. 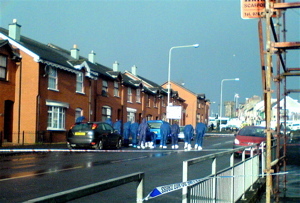 DUP First Minister Ian Paisley described the attack as “the bottom level of hatred and bitterness”, adding that dissident republicans were “getting angry because they are making no headway”. Sinn Fein’s Martin McGuinness condemned the attack saying that those responsible “have no popular support and have no strategy to achieve a united Ireland”. It is clear that the attack enjoys little support from the local community, the city in general or the wider Northern Ireland population. With the PSNI now drawing some 23% of its officers from the Roman Catholic community the attack is obviously aimed at destablising that recruitment campaign. Clearly these attackers would like to see us returning to the death and destructions days before the hard won peace process. Support for the police in Catholic areas is something that is growing as the peace process beds in. It is, however, an expectedly fragile flower which we all need to tend carefully if strong roots are to grow. The decision by some republicans to carry out this attack is unhelpful. This is 2007, we have moved on significantly, it’s time for EVERY organisation to ditch the guns, cut the crap and get working for our children’s future. A strong economy in a peaceful country is the future we want for our children. We don’t need another generation to experience “The Troubles” anew. A visit to the site makes for a most sobering and thought-provoking hour of your life. Everyone should spend some time there. I’ll say no more than that. And figures are not available here for the last 8 months – a time that has been horrendous for the city and it’s people. If anyone ever doubts the wisdom of the Northern Ireland Peace Process they need only look at this to see the alternative. It’s a nightmare we went through here but NEVER, in our worst days, did we have to experience such massive carnage.. Hopefully, the Peace Process can keep us from ever having to know horror of this magnitude. The minister of an east Belfast church vandalised by youths has criticised a decision not to bring any prosecutions. During the summer stained glass windows at St Donard’s in the Bloomfield area were smashed and its roof was damaged. 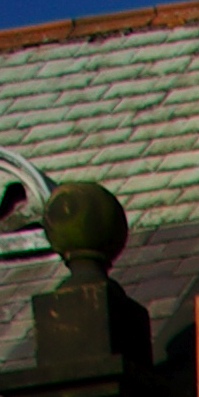 Pictures of children on the roof were taken, but the Public Prosecution Service has written to the church saying there is not enough evidence. The rector, Rev Charles McCartney, has said he intends to appeal their decision. “If the prosecution service don’t do this, then it sends a message to the young men involved that there’s nothing the police can do,” Rev McCartney. “It says to the local people there’s no point ringing the police, it also says to the police themselves ‘what’s the point in taking a case’. The abuse of places of worship. The inadequacy of community policing. The inadequacy of community policing. For whatever reason, the story of policing this past week at St Donard’s is the all-too-common cry of ordinary citizens in their own homes and lives: The lack of visibility of police on the streets, the difficulty in getting hold of police in the community, the slow response in situations which means that it is too late to catch those who are committing the crime, and the perceived response, ‘There’s nothing we can do’. Beaten up and can’t see a doctor? – Where are we going wrong? 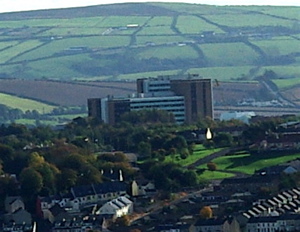 I’ve just discovered that a friend was beaten up in Derry between 1am and 1.30am on Sunday morning. Standing, minding his own business he was attacked by 5 thugs who just happened to be passing by. A random assault by mindless morons. Did he challenge them in anyway? Did he cause them to attack him? No. He was just phoning a taxi when he was set upon by this bunch of thugs. Just one of those things that happen in Derry and every other town in Northern Ireland on a typical Sunday night. But there is more… the weak of stomach ought to turn away here… he tried to get away but was pursued and beaten to the ground by the thugs. His life was probably saved by a taxi driver who phoned the PSNI. 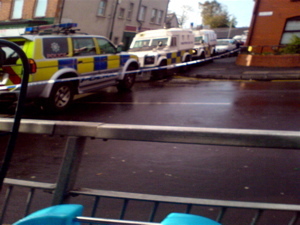 The thugs did a runner and when the PSNI found the lad unconscious they brought him to Altnagelvin Hospital at around 1.45am.